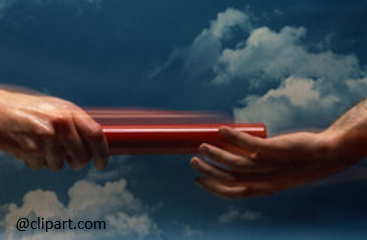 The hand-off of the baton is one of the most critical components of a relay race. If the hand-off isn’t smooth, the runners can bobble and the race can be lost in those few seconds. 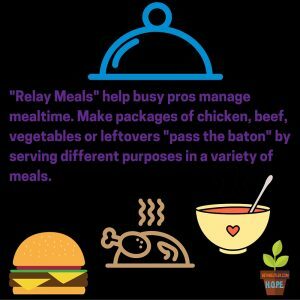 In the race to prepare dinner–a daunting daily task for many overwhelmed professionals–thinking like a relay runner can save the day, with the bonus of not wasting food. A relay meal is a meal that is made using ingredients from another meal. Essentially, it’s a creative use of leftovers and speeds up supper time. It comes down to a simple question: How can I use this ingredient/meal in more than one way? Here are two examples, using chicken and ground beef. Eat the casserole. Relay by using leftovers for lunch. At another time, pull the precooked grilled chicken out for a meal. Take any leftovers from the grilled chicken, shred for tacos or taco salad the next night. At another time, pull out the pre-cooked chunk chicken. Make a stir fry. Take any stir fry leftovers, and roll up into crescent rolls (you can add cheese, dressing, etc for flavor and moistness) and you have a light finger food dinner. 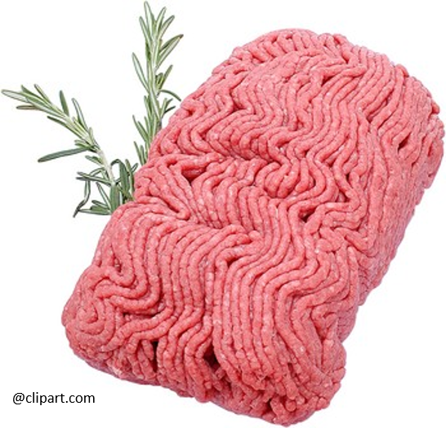 Get a large package of ground beef and divide into thirds. Make ⅓ of the package into a meatloaf. Cook for dinner, or freeze for a later dinner. Cook ⅓ of the ground beef and add salsa (and any Mexican spices you like) to prepare taco meat. Freeze for a later meal. Cook the remaining ⅓ mixing with onions, garlic, ketchup and any other additives you like for sloppy joes. Freeze for a later meal. When you eat the tacos or sloppy Joes, and have leftover meat, relay that meat to another meal by adding to spaghetti sauce for spaghetti, mixing with mac and cheese, rolling into crescent rolls, making nacho plates, or using as a pizza topping. I’m sure you can come up with your own examples of “relaying” ingredients into more than one meal, or using leftovers to form another meal. The more you do this, the easier it becomes to think and plan weekly menus in those terms. It develops a habit of using food wisely, avoiding stagnant leftovers and saving time and money. Bonus: plan a weekly weekend meal to be a “potluck” of leftovers using whatever remains in the fridge. Your turn: How do you relay one meal into another?